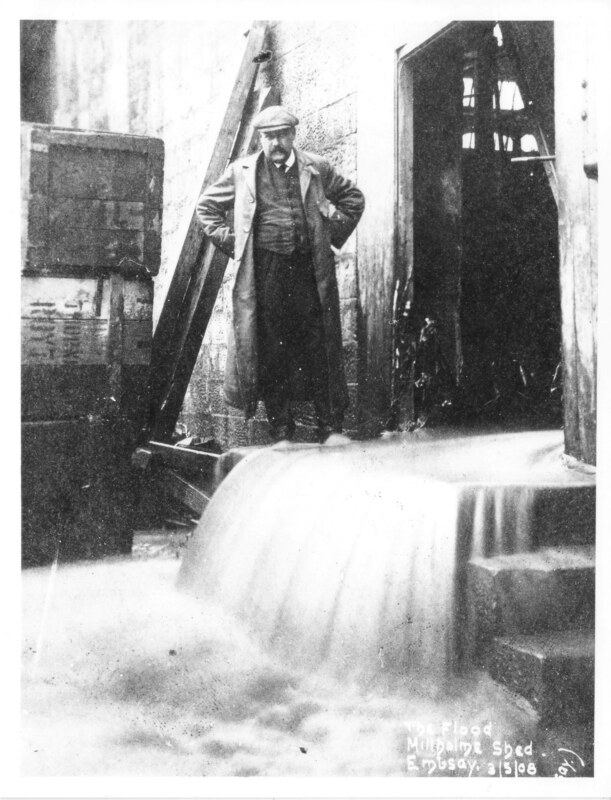 The gentleman shown in Millholme Shed, Embsay, after the 1908 flood is Mr Sam Heaton, the mill manager. Millholme Shed was badly damaged, the flood water completely destroying the rear wall of the mill. It was only Mr Heaton's presence of mind in getting the workers out in time which prevented any loss of lives.